This event was captured live at the reveal2014 conference in North America. 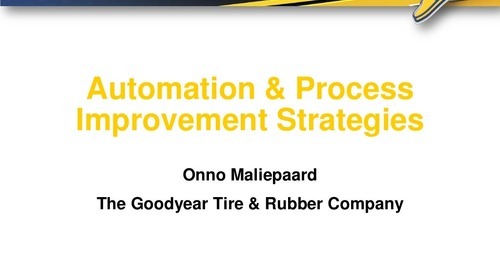 eSourcing at Goodyear and procurements approach to achieve objectives are the topics of this presentation. This event was captured live at the reveal2014 conference in Europe. 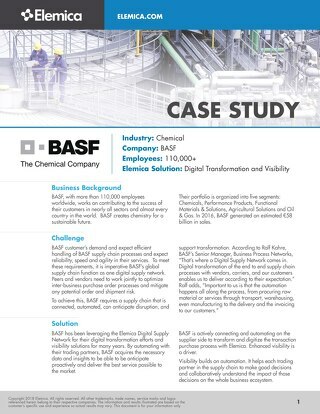 In this presentation, BASF shares keen insights on their values and operations. This event was captured live at the Ignite2015 conference in Europe. 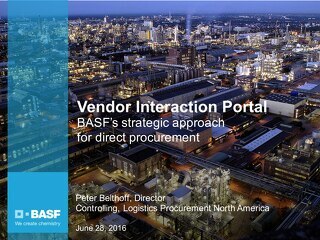 Gaining more visibility and value in global suppliers is discussed. This event was captured live at the reveal2014 conference in Europe. 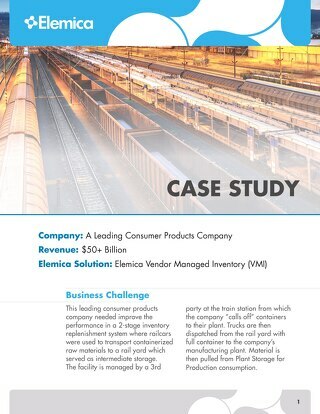 Learn what it takes for the modern Supply Chain to successfully compete in today's industry. This event was captured live at the reveal2014 conference in North America. 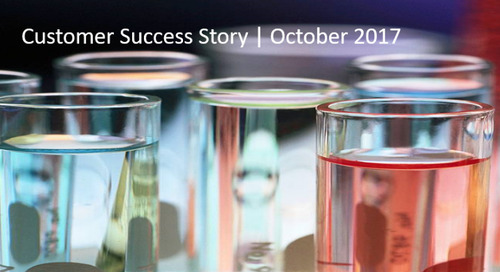 In this presentation, a very real-life example of supply chain excellence is showcased. 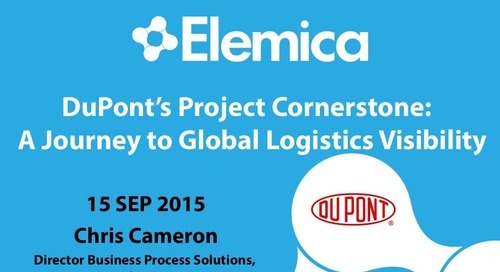 This was presented at Elemica's Ignite2015 Conference in Europe on September 15th, 2015. 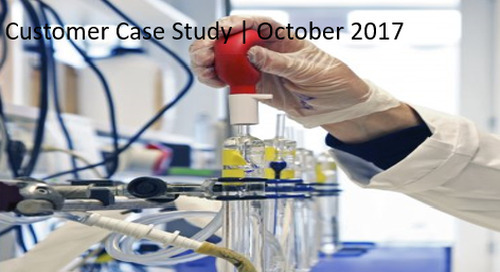 In this presentation, current relationships and projects are examined. This event was captured live at the reveal2014 conference in Europe. 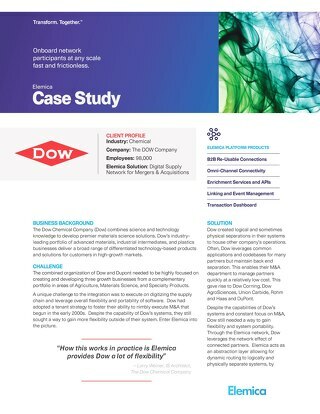 The background of Shell Chemicals is explored as it directly pertains to Elemica. This event was captured live at the reveal2014 conference in Europe. 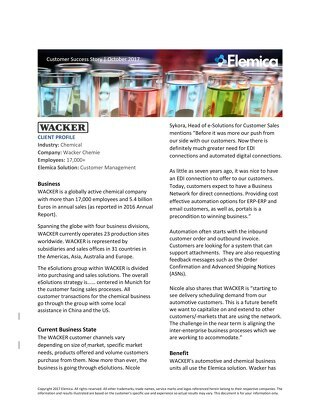 On-boarding with Elemica through the eyes of Wacker Chemie is discussed.